Surprisingly regularly, I find myself being asked by other students about where to hear this ‘oh so elusive’ jazz music. As a musician and loyal follower of the Birmingham jazz scene, this seems bizarre to me: the answer is that the options for finding live jazz in the city are endless – if you know where to look that is. Even so, the starting points appear obvious, indeed, you don’t need to wander too far from New Street station forecourt to find them. 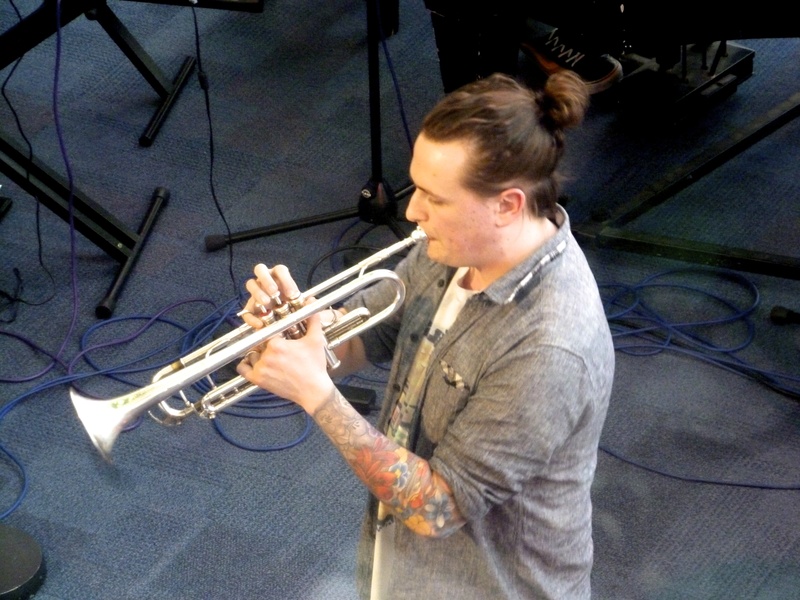 Venues like the Yardbird have recently come back into favour, often featuring jazz students from Birmingham Conservatoire as well as more established artists, not just in the jazz genre solely, but also with funk, ska and rock bands making an appearance. Look only a little further and you’ll see the sweeping windows of Symphony Hall, through which stunning jazz musicians can be seen for free every Friday evening from 5pm. Not far away down Broad Street, tucked away from the likes of Flares, Reflex and O Bar, is the CBSO Centre, which despite its obvious classical connotations is often home to many an internationally renowned jazz artist; already, a nice trio of jazzy venues all within a stone’s throw of one another. If you can’t, however, bring yourself to make that seven minute train journey into the centre from University station, then never fear. 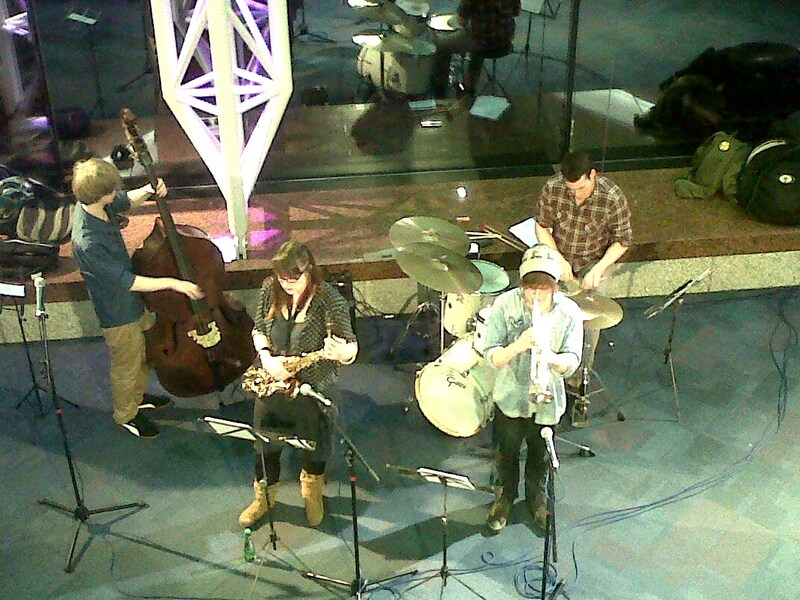 Jazzlines’ free gigs at Bramall foyer provide the perfect opportunity to hear some fantastic musicians right in the heart of campus. These are held on the first Thursday of every month and have previously featured the likes of the Reuben James Quartet, the Rob Barron Trio, the Andy Isherwood Band and, last month, the Mike Williams Quartet. February’s installation came in the form of Hans Koller’s ‘Chasing the Unicorn’ International Quartet, featuring himself on piano, Francois Theberge on saxophones, Percy Pursglove on trumpet and bass, Jeff Williams on drums and special guest alto saxophonist John O’Gallahger from New York. From the first note, the band aligned to form a focussed sound, blending and moving effortlessly between time signatures. The two saxophones contemplated each other perfectly in The Secret Garden, underpinned by subtle but intricate brush strokes from the drums and lush piano harmonies. The next piece, also one of Koller’s compositions, was one written in two parts, in response to a German poem, the first of which was a frenetic representation of the poem’s first half: ‘youth’. Here, the horns worked almost in counterpoint in the head, then combining together for the cross-rhythmic, four-note motif that was to glide over the busy bassline and chromatic piano figures. Far more use was made of the kit in this tune, Jeff Williams outlining the different colours of the toms and cymbals, dropping out altogether at one point leaving just an intense and extended alto sax break. There was brilliant use of silence in the set, particularly seen in the subtle, solo segue sections, particularly in the transition from ‘youth’ to ‘age’, taking a far more reserved tone for which Percy Persglove abandoned his double bass in favour of his trumpet, adding new shades to the harmonies of the front line. There were playful, but also soulful moments from Francois Theberge’s solos, exploring in the upper register of the tenor sax to create some amazing melodic moments. Trumpet followed this to reveal a featured moment for all three horn players, seamlessly interlinking in the central section of this tune, combining again to conclude in a beautifully tender last breath. As the set continued, the repertoire’s influences became more and more varied and unexpected, with Koller taking to the trombone for his adaption of one of Bach’s evening chorals from the eighteenth century. Needless to say, this was a far cry from the original, yet with the hypnotically mellow swing defining the texture, combined with smooth harmonies and stepping-stone melody from the three horns, the effect was one of fixating, haunting beauty. The most important thing to remember is that these kind of gigs are there if you just look for them. 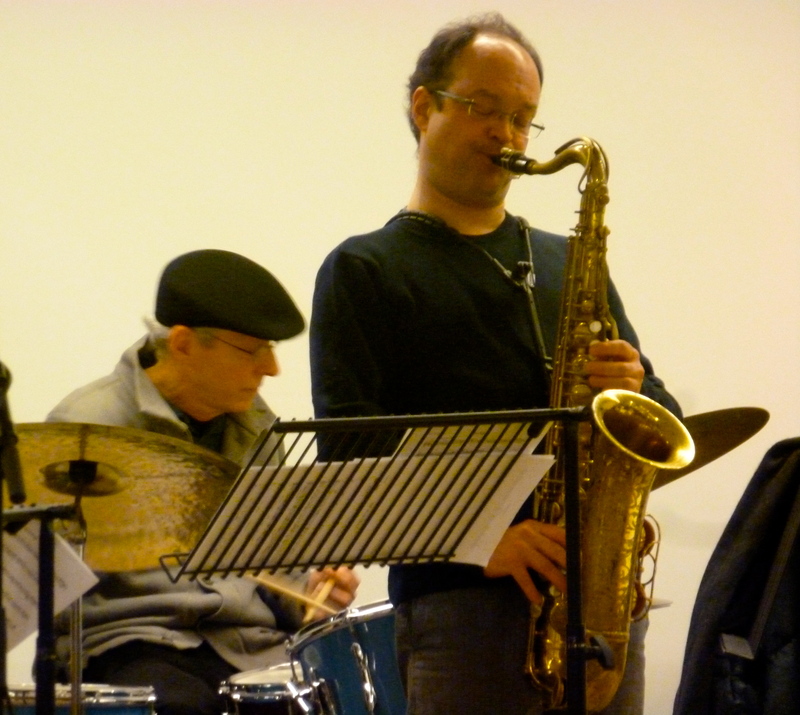 Whether you’re an aspiring jazzer yourself, mere jazz enthusiast or just trying to jump on this ‘hip’ bandwagon that has actually been in existence since the mid-1940s, you need not look any further than Jazzlines’ Bramall gigs: quality jazz right on your doorstep. Jazzlines will next come to the Bramall Music Building on March 7th with bassist Chris Mapp and his quartet, bringing music influenced by the likes of MIles Davis, John Coltrane and Radiohead. Friday evenings in Birmingham always come with the promise of some spectacular entertainment in the form of Rush Hour Blues at Symphony Hall. 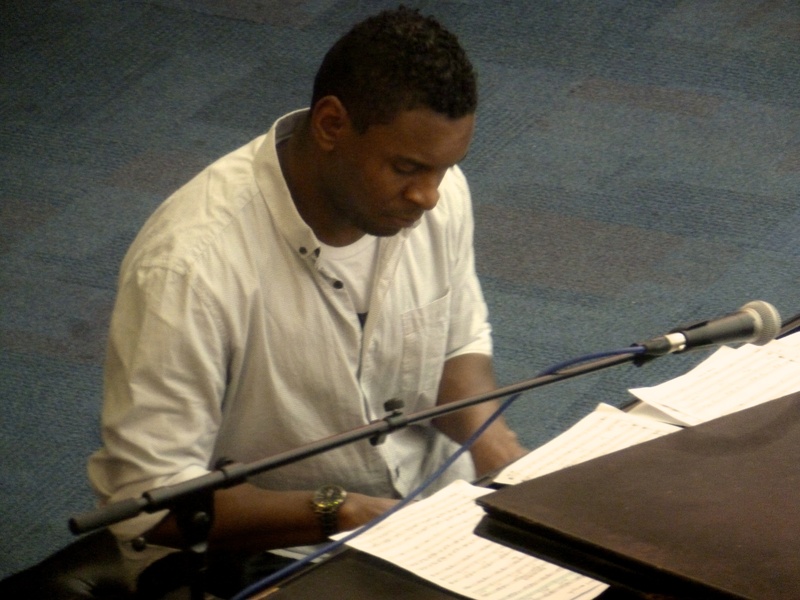 Organised by Birmingham Jazz, this weekly session regularly features various jazz and blues artists from the city and further afield. 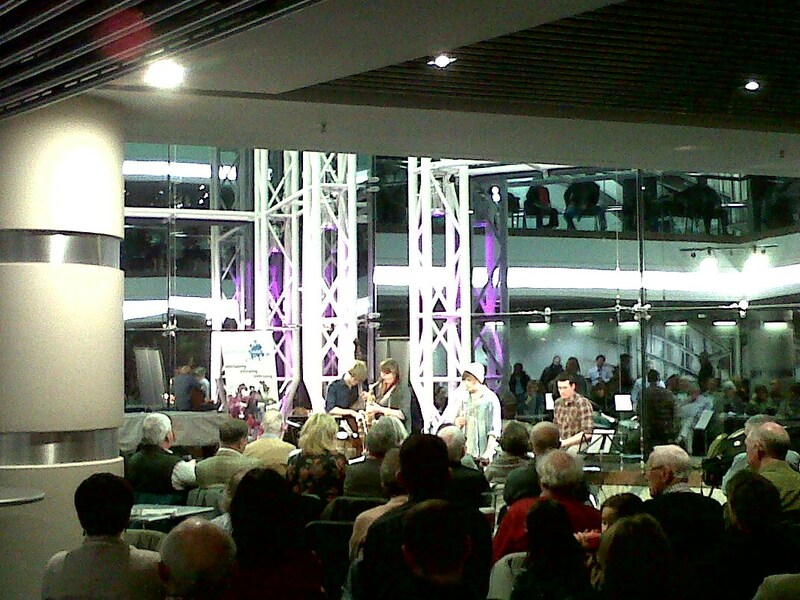 The latest performance was from talented young bass player Nick Jurd, appearing in his quartet alongside other former Birmingham Conservatoire students. The group displayed a captivating sense of unity in their set, performing a range of Jurd’s original compositions as well as inspired renditions of jazz standards. 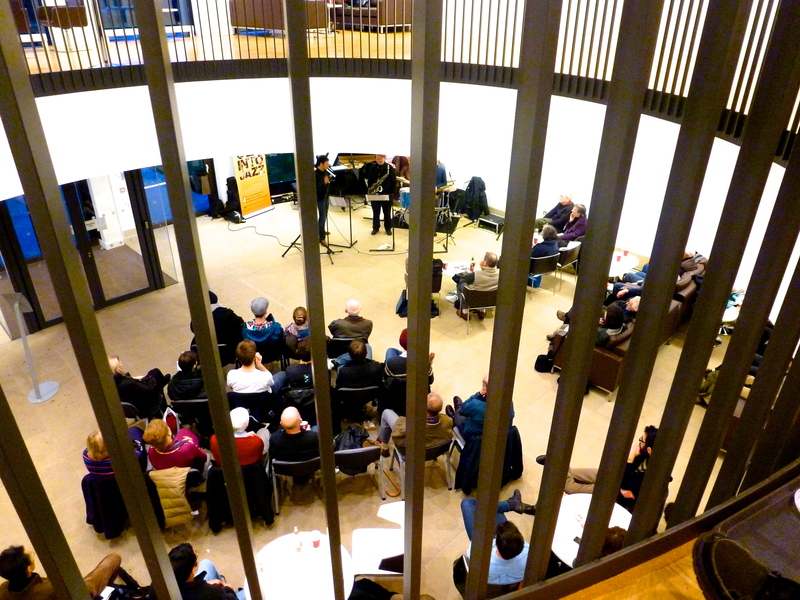 Mostly, their repertoire was ballad-like or medium swing paced, lulling the audience into a meditative state and providing a welcome contrast from the frenetic rush hour traffic seen through the foyer’s ceiling-high windows. Even some of the busier samba-feel numbers provided a laid-back sense of contemplation. Despite the overall relaxed state of the music, many of the quartet’s pieces enclosed fascinatingly frenetic improvisation from each of the band. Nick Jurd in particular demonstrated skilful use of the higher register of his double bass, producing solos both melodically and rhythmically captivating. Alto saxophonist Rachel Cohen often chose a more sustained and emotive style her solos, whilst trumpeter Sam Wooster displayed both subtlety and ferocity in his playing, effectively combining with perfectly placed rhythmic interaction from Jim Bashford on drum kit. Jurd’s softly spoken introduction to each tune and acknowledgement of his fellow musicians did much to maintain the mellow tone of the gig. One particular tune that will undoubtedly hit home with students of many different disciplines was Jurd’s own composition ‘Sorted’, a piece he recounts writing after graduating. This piece was, in line with the rest of the set, of a smooth, unrushed tempo, yet still expressed excitement: as he explained, it reflects a sense of accomplishment and an undeniable taste of freedom. Interestingly for a band of this size, the quartet did not contain any chordal instruments such as a piano or guitar as would be expected to complete the texture of a traditional jazz combo. This lack of chords was slightly unusual to the ear at first, but as the set went on this supposed gap in the texture actually created a unique sense of space in the music: this allowed the subtleties of harmony from the bass and horn instruments to shine. Nick Jurd and his quartet undeniably transfixed the large crowd that frequents the Rush Hour Blues sessions. With a captivating blend of precision playing and musical ingenuity, the group brought a tranquil end to the day in the otherwise bustling city centre. 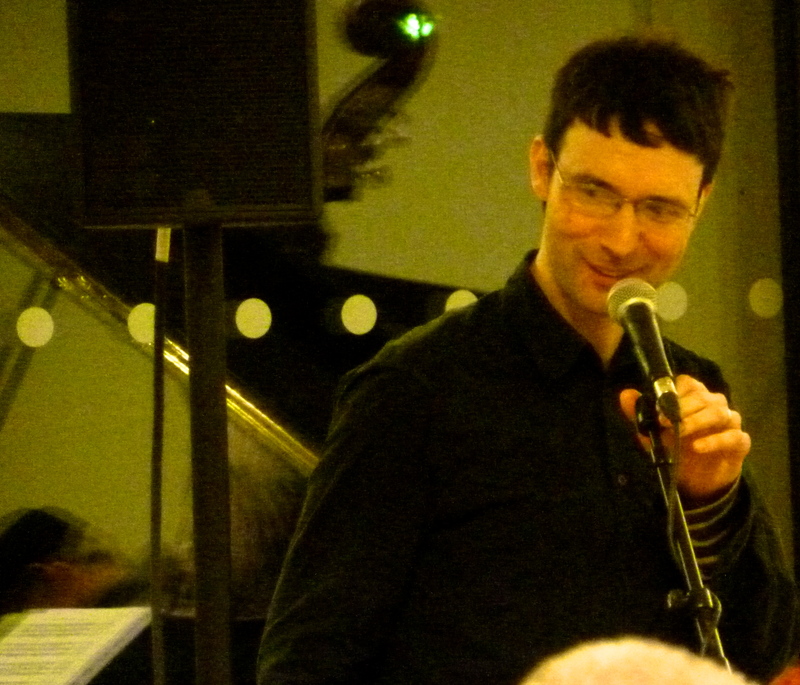 The next Rush Hour Blues instalment will feature the MHJQ Jazz Blues Trio on Friday 3rd February, 5.30-7pm. Admission is free, so there really isn’t a more ideal way to end your week.